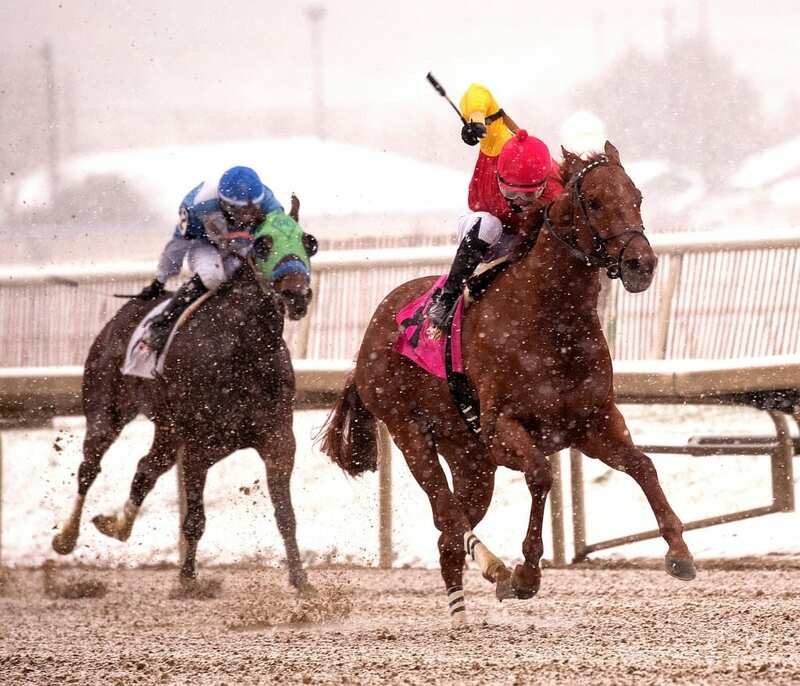 Racing in the snow at Laurel Park. Photo by Jim McCue, Maryland Jockey Club. Weather is continuing to rack up victories in the Mid-Atlantic. Both Laurel Park and Charles Town Races announced Wednesday morning that they would cancel their planned Thursday cards. Charles Town on Tuesday had canceled its scheduled Wednesday program. The first-post temperature on Thursday in both Laurel and Charles Town is projected to be in the teens. 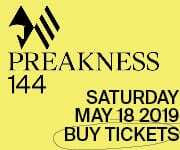 At the time it canceled Thursday’s card, Laurel also announced that all races carded for Thursday would be brought back as extras in the coming days. The track also plans to run 10-race cards on both Saturday and Sunday, with live racing scheduled to resume there on Friday. Live racing is also scheduled to resume on Friday at Charles Town. The region’s other nighttime track, Penn National, announced Tuesday it was canceling live racing all of this week.